Mass spectrometry and other bioanalytical techniques are essential in biological research to identify and quantify various biomolecules, such as proteins. 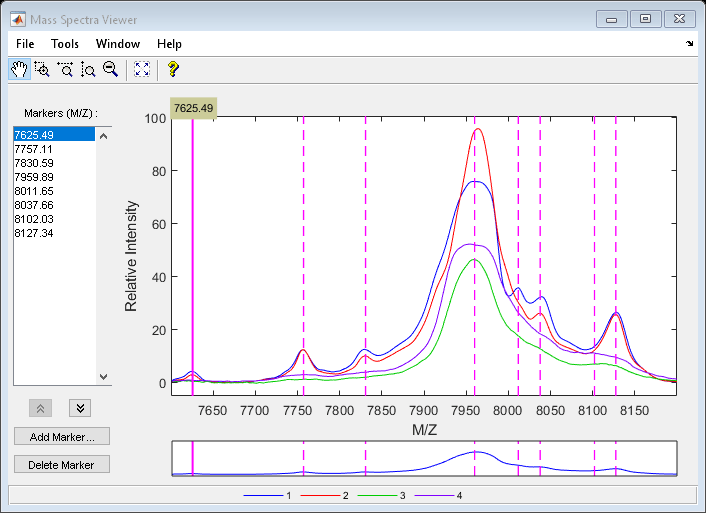 The toolbox lets you import raw mass spectrometry data from various instruments. You can preprocess such data and improve its quality by normalizing, correcting the baseline of peak signals, and resampling high-resolution data. Characterize the data by detecting peaks and aligning them with references. Detect potential biomarkers by using statistical and machine learning algorithms. 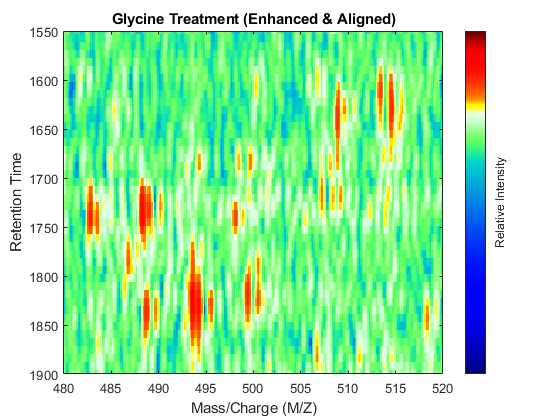 Improve the quality of raw mass spectrometry data. In particular, this example illustrates the typical steps for preprocesssing protein surface-enhanced laser desorption/ionization-time of flight mass spectra (SELDI-TOF). 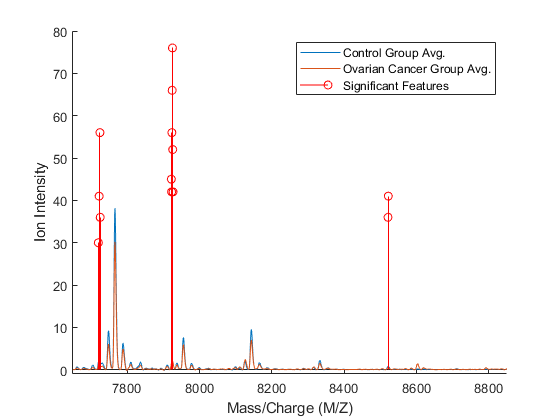 Classify mass spectrometry data and shows some statistical tools that can be used to look for potential disease markers and proteomic pattern diagnostics. How the SAMPLEALIGN function can correct nonlinear warping in the chromatographic dimension of hyphenated mass spectrometry data sets without the need for full identification of the sample compounds and/or the use of internal standards. By correcting such warping between a pair (or set) of biologically related samples, differential analysis is enhanced and can be automated.